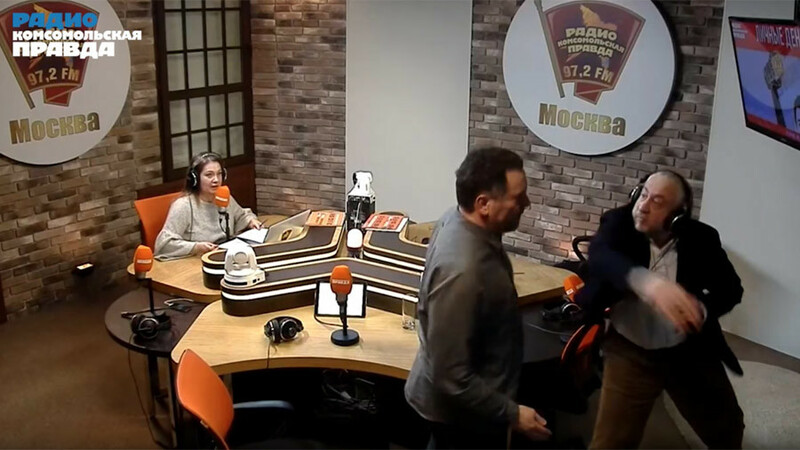 A heated discussion on Joseph Stalin and his role in Russian history between two distinguished journalists turned into a trading of insults and then a fistfight, which was broadcast during a live radio show. The incident took place in a studio of Radio Komsomolskaya Pravda around midnight on Tuesday. 51-year-old Maksim Shevchenko and 62-year-old Nikolai Svanidze were discussing whether Stalinism could be considered an illness. At one point, Svanidze, who is known for his liberal views, stated that before WWII, Stalin had already put the Soviet Union in a disastrous state, and called his interlocutor “a scoundrel.” Shevchenko, whose political sentiments are more in line with communism, replied by calling Svanidze “an incorrigible demagogue” and accused him of insulting the memory of the Soviet soldiers who died in the war with the Nazis. After this, Svanidze approached Shevchenko and hit him in the face. A brawl ensued, which was soon broken up by the staff. The fight was widely reported by the Russian media and resulted in apologies from the two journalists and others. Shevchenko said on 360 TV that he was very sorry about what happened and that intellectual disputes should never end in violence. “But this is the current situation in our country, there is a schism in society and emotions are always burning,” he said. Svanidze told Komsomolskaya Pravda daily that it was the first time he had gotten into a personal conflict with Shevchenko and apologized for not being able to control his emotions. “People start throwing punches when they are short of arguments,” Yushchenko said. The head of Russia’s Human Rights Council, Mikhail Fedotov, also apologized for the incident and called for the two reporters to do the same. “I am shocked by this story. I am asking them to apologize to each other and to the audience,” TASS quoted Fedotov as saying. 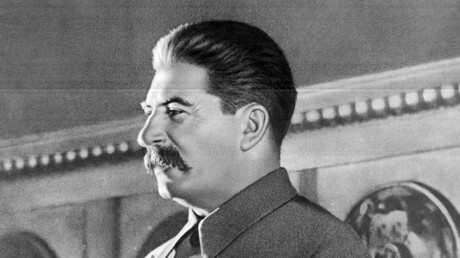 Controversies surrounding Soviet dictator Joseph Stalin often become a topic for heated debate in Russia. Earlier in January, the Russian Ministry of Culture revoked the license for the distribution of the British comedy ‘The Death of Stalin’ in cinemas. The ministry said that the film contained some information which is forbidden to promote in the Russian Federation, but did not elaborate. The Russian Filmmakers’ Union (Kinosoyuz) issued a statement calling the recall of the license “an act of censorship” and said it intends to pursue the matter in court. Some Russian filmmakers, however, support the move, noting that the comedy was insulting to the memory of the Soviet people who defeated Nazism in WWII.